Over the last couple of weeks we have seen some alarming stories about horse meat being found in a growing number of processed 'beef' products. Perhaps this bad press will encourage people to think about how they shop and what they eat. All over the country there is a growing number of farmers markets popping up where you can buy a huge range of locally produced items including fruit and vegetables, cheeses, breads and home baking through to a wide array of poultry and meats. Of course by buying direct from the producers, you will have no concerns over the provenance of the goods on sale. 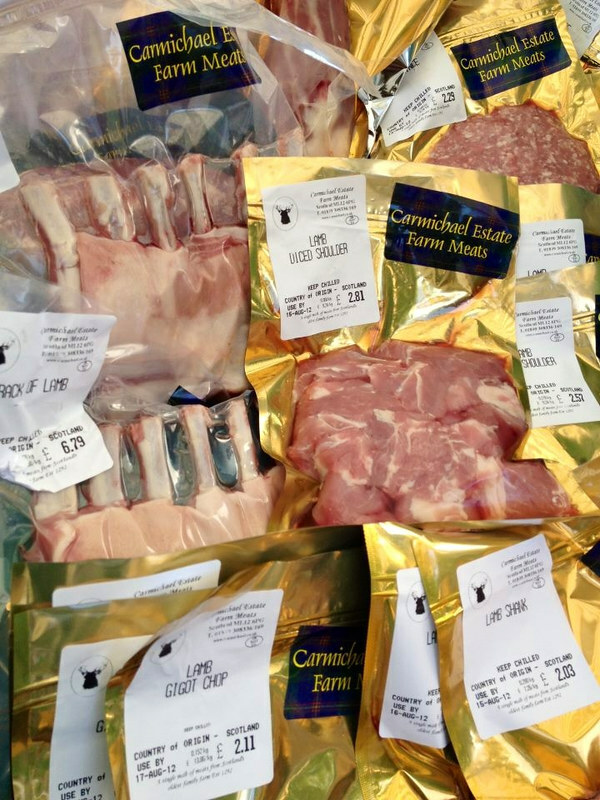 Carmichael Estate Farm Meats attend many farmers markets across the country, including my own local market in Clarkston, providing a range of award winning meats from Scotland's oldest farming family business. Our family has been farming the lands at Carmichael in Lanarkshire since 1292 hence we claim to be one of Scotland’s oldest family farming businesses. We started deer farming in 1995 after seeing the successes and popularity of the venison industry in New Zealand. Almost immediately we made the move to put in a small on farm abattoir and butchery to sell meat straight from the farm gate. This avoided having to transport the animals to mass abattoirs hence reducing the stress caused to the animals during transit and improving the quality and traceability of our produce. We have always had farm shop on or near the farm selling Farm produce but when the Farmers’ Market movement began the markets seemed liked the ideal place for our niche market venison produce. We have been doing Farmers’ Markets for 12 years now and now attend 8-10 markets a month throughout the whole year. We also have a farm shop and tearoom on the A73 between Lanark and Biggar serving our top quality zero food miles meats and sell meats by mail order through our website. Consistency of product quality is key. Your products need to be great every time the customer comes into contact with them. Sticking to your business values and building relationships with your customers is also paramount. In 5 years time we would hope to have expanded our UK internet mail order meat business and be selling a wider range of meats wholesale to key UK customers. Eventually we would like to see Carmichael Estate Farm Meats on the menus of top restaurants and deli counters in every European city with an embassy. We would also like to see our brand further established as ‘the single malt of meats’ from Scotland’s oldest family farming business. Venison Rashers for sure! They are unique, delicious, versatile and multi award winning! It would have to be my wife Terri as she is the best dinner company I have found. 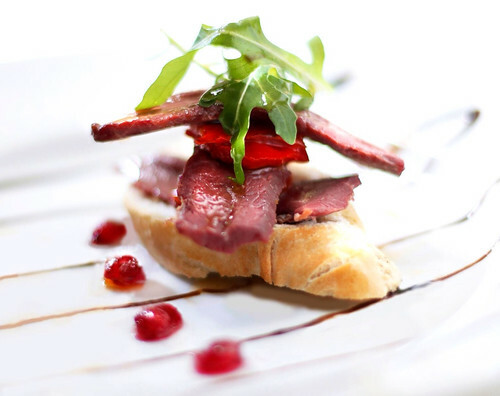 The menu would be smoked venison with parmesan shavings, on a scallop and rocket salad for starter. The main would have to be our own 21 day matured Lanarkshire Limousin Beef fillet steak with homemade home grown potato wedges and freshly dug garden veg. If we got to desert then a cheese cake from Brenda at Stichell Jersey who comes to Edinburgh Farmers’ Market would be ideal. This would all need to be washed down with a nice Rioja. That will do very nicely! With a choice of venison, beef and lamb available to buy, in a choice of cuts, or delicious sausages and burgers, you'll be sure that they have a something that will put a smile on your face. The seasoned lamb burgers are my personal favourite, grilled on the barbecue and piled high with chunks of Feta before serving on toasted ciabatta to make the perfect burger. Check out this link to see if Carmichael Estate Farm Meats are attending a farmers market near you. If they are, take time to pop by and say hello, you'll be glad that you did. Keep up to date with Carmichael Estate Farm Meats on Facebook and Twitter.